There’s little that can rival the Bahamas, a cluster of private Islands, each with something to give. And MSC Cruises are adding their very own to their name, with MSC Ocean Cay Marine Reserve – set to launch in November this year. This island aims to offer a more relaxed, nature-orientated experience than some of the most action-intensive cruise line private islands in the Bahamas. It is aimed to be less of a “theme park” and more of a “Paradise in the Caribbean” according to the CEO of MSC Cruises, Gianni Onorato. 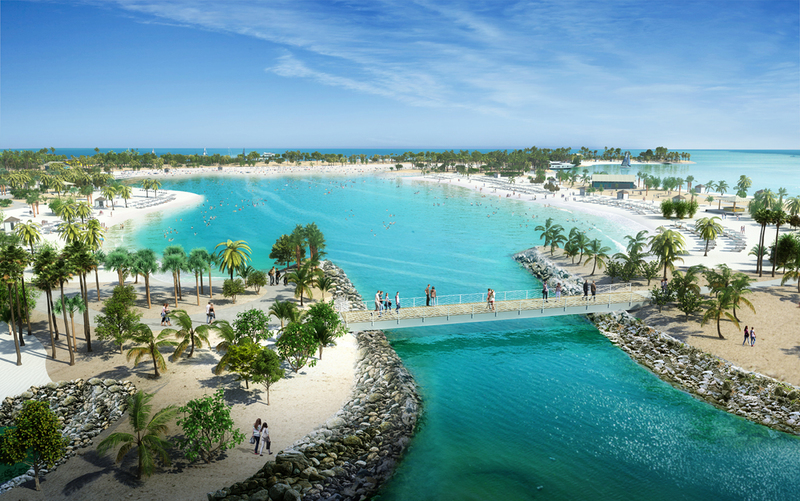 The Ocean Cay is aiming to build on the natural elements of the Island, with a lot of the activities extending on this. They are emphasising the focus being on a destination where people can simply relax and enjoy the natural beauty of the Bahamas, letting guests connect with the island and relax in the white sands and crystal clear waters. For people that want to be a bit more active, there will be paddle boarding, snorkel safaris, kayaking and activities such as beach volleyball. There are seven beaches spanning two miles, with a great lagoon for protected swimming and water sports, a family lagoon and Great Bimini Beach (the longest stretch of sand) ideal for a variety of water sports. The MSC Aurea Spa will be on hand to offer special body and facial treatments to the sounds of the ocean, and there will be seven beach bars to get cocktails, snacks and food throughout the day as well as an ice cream parlour, Bahamian bar and coffee bar in the Marina. The ship can dock right up on the Island, which means that you can dip in and out of the boat throughout the day. It also means you can spend a day on the beach, head back to the ship for dinner, then head back out for the Island’s movies under the stars for a romantic end to the evening. 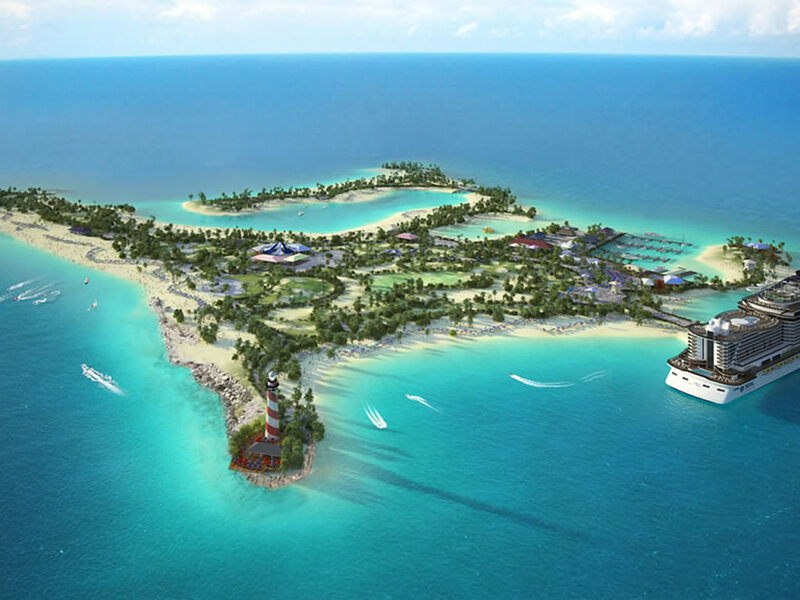 MSC Seaside, MSC Meraviglia, MSC Divina and MSC Armonia will all be offering ports of call where you can make the most of the private island and soak up the sunshine. We will be revealing more details as they are announced, so be sure to check back soon!